Here we are on the Monday after Thanksgiving, a.k.a. “Cyber Monday.” Have you been hunched over your computer or tablet, scavenging for deals? Perhaps it’s a good thing that the second stop on our 12 Days of Shopping Local tour is one you might not have predicted: Lowe Chiropractic Clinic, at 59 E. Green Street near State Farm Insurance and Subway. The clinic moved from the west side of the square to this office in March. 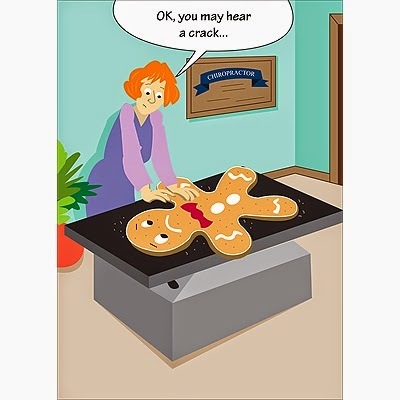 What does chiropractic care have to do with the holidays, exactly, besides fixing that crick in your neck? I will tell you! But first, let’s meet Dr. Lowe. Dr. Clayton Lowe studied at Kansas State University, Cleveland Chiropractic College in Overland Park, Kansas, and with the renowned Dr. Richard Yennie. After graduating 16 years ago, he and his wife moved to Winterset, drawn here by family connections on her side, as well as an interest in finding just the right community to live, work, and raise a family. Winterset had the right mix of small-town benefits and proximity to the city that they were seeking. Also, it’s just a few hours from their old stomping grounds of Kansas City, their favorite place to get away. They have two kids, ages nine and 13. Dr. Lowe is passionate about the benefits of chiropractic care and acupuncture all year round, and that includes December. “We want to let people know they don’t have to go through the holiday stress without options,” he said. “People stress out about things and it gets magnified at holiday time.” He pointed out that exercise is a great stress reliever, but sometimes a person needs more. So, what kinds of things can Lowe Chiropractic Clinic help you or your loved ones with at holiday time? strained backs and necks from shoveling snow, putting up the tree, juggling packages, or spending too much time at the computer! They do offer gift certificates, if you happen to know someone who suffers from any of the above and want to show them some love by encouraging them to check it out. Dr. Lowe is always appreciative of referrals, and new patients are welcome. 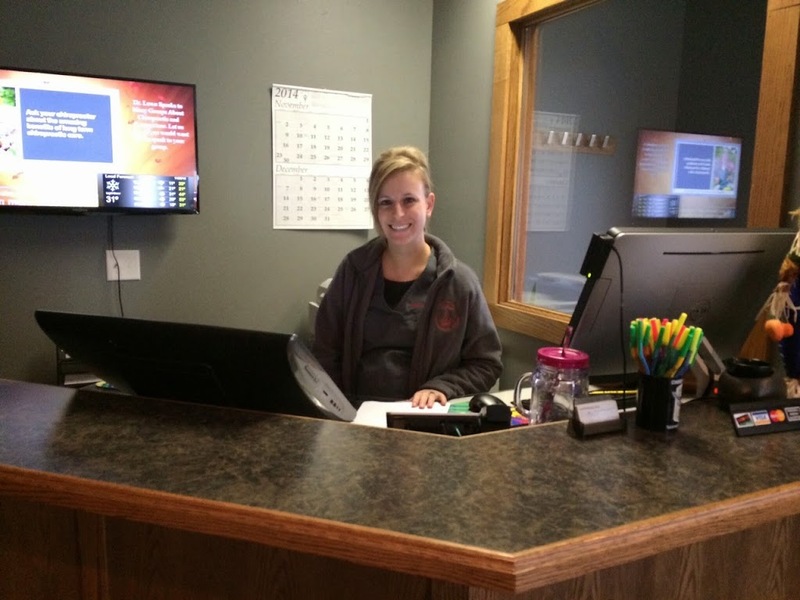 Amanda Klobnak is the first friendly face that will greet you at the clinic and get you started with paperwork, if you are new. 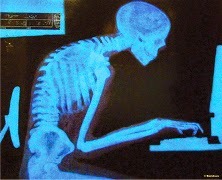 Or, you can save time and fill out initial paperwork at home by downloading forms at www.lowechiropractic.com. “We do a free consultation before every case to make sure we can help the person,” he explained. “Then we typically do an exam and take x-rays to ensure everything is functioning properly.” After that, a treatment plan is created, kind of like a prescription. “Most people start feeling better in the first two weeks of care,” Dr. Lowe said. 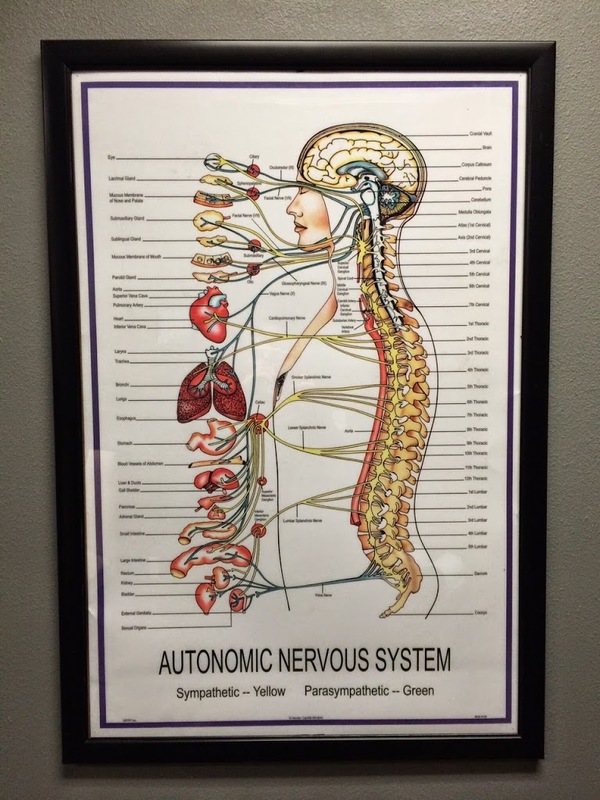 The big idea of chiropractic is that the nervous system controls everything in your body, and by taking pressure off the nerves, the body is more able to heal itself. This includes a lot more than just back and neck pain. For example, chiropractors have a lot of success with digestive issues (such as acid reflux, which is a common problem from Thanksgiving on through December) and allergies. I asked Dr. Lowe to explain the connection between chiropractic and acid reflux, and he showed me on this chart. 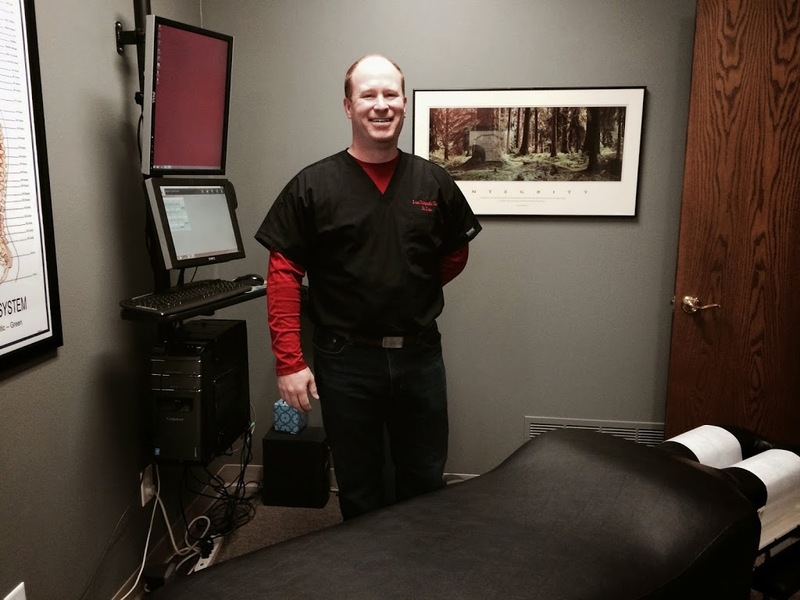 “We treat a lot of patients with acid reflux, from babies to 80 and 90 year olds. It’s easy to treat. Typically it’s pressure here… (pointing). That nerve goes to the stomach. If it is firing too much it causes the stomach to release more acid than it’s designed to, and if it’s not functioning enough you get gas, because that food is sitting in there and it doesn’t pass.” I had no idea! 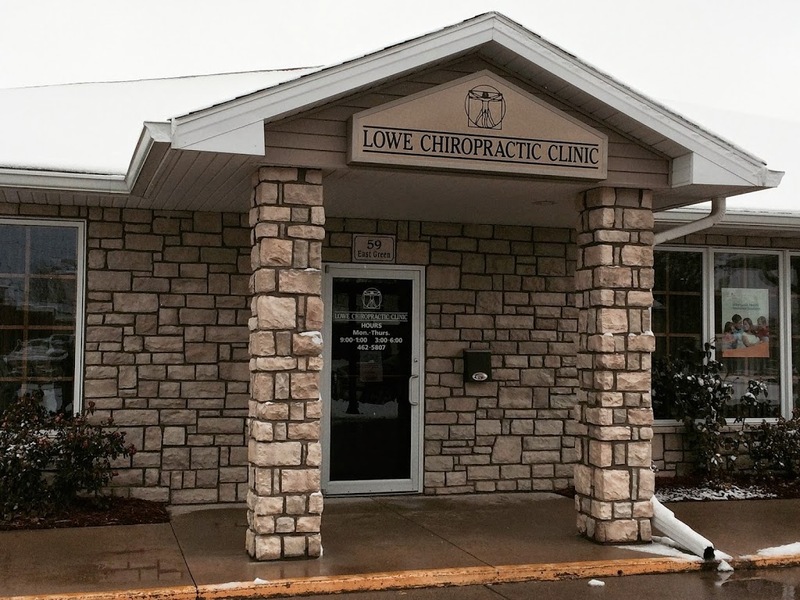 Lowe Chiropractic Clinic also offers acupuncture, which has been performed in conjunction with chiropractic for centuries, with the ability to treat approximately 3,000 different conditions. Dr. Lowe said he rarely uses needles, but prefers electric stimulation or a non-piercing spring needle. 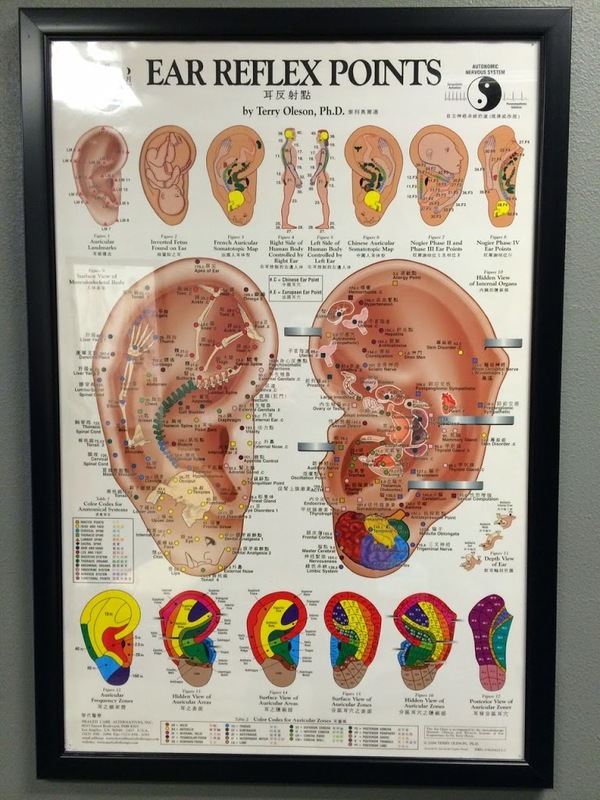 Typically, this involves stimulating points on the ear to reduce stress or relieve pain. He also showed me a spot on the hand that he described as the number one spot for relieving headaches. 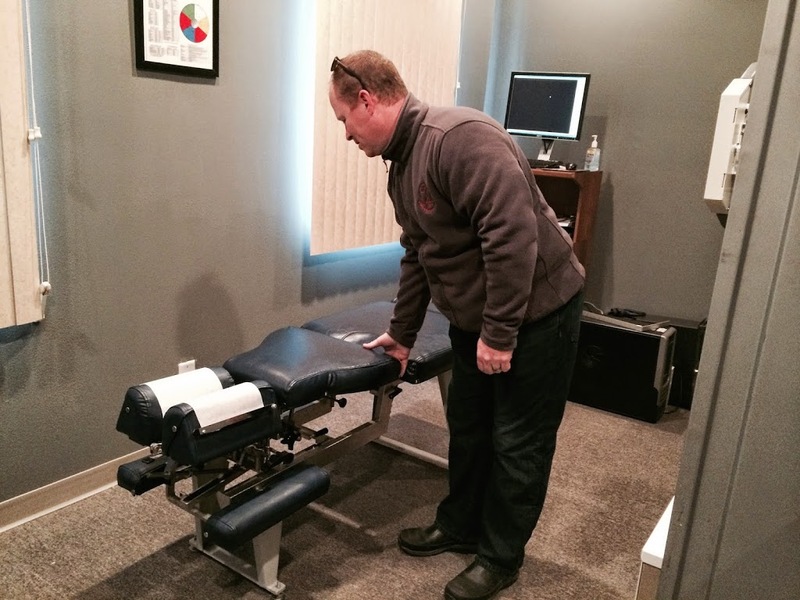 “It [acupuncture] is another tool in my bag to take care of more patients,” he said. And of course, adjustments are available too. Dr. Lowe is all about keeping things simple, and the average appointment time is about five minutes. It is easy to get in, and same day appointments are often available. Most insurance covers chiropractic care, and Amanda will check those benefits for you. Call 515-462-5807 for an appointment, a gift certificate, or more information. The office is open from 9:00 to 1:00 and 3:00 to 6:00, Monday through Thursday. A gift certificate or referral is a serious suggestion, and Dr. Lowe loves to see the interactions between new patients and the people who referred them. Those who are new are often very thankful and excited to talk about their progress. Show someone you care this holiday season by pointing them toward Lowe Chiropractic Clinic. 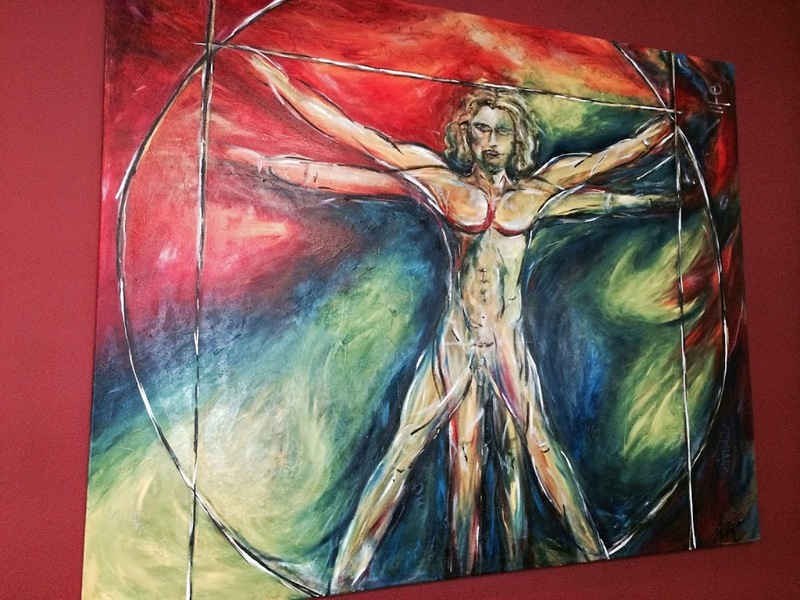 This distinctive panel in the front office was painted for the clinic by a friend.